So, I am part of the creative team behind this new novel that deals heavily with the Slenderman mythos. It's a fresh take on the familiar legend. 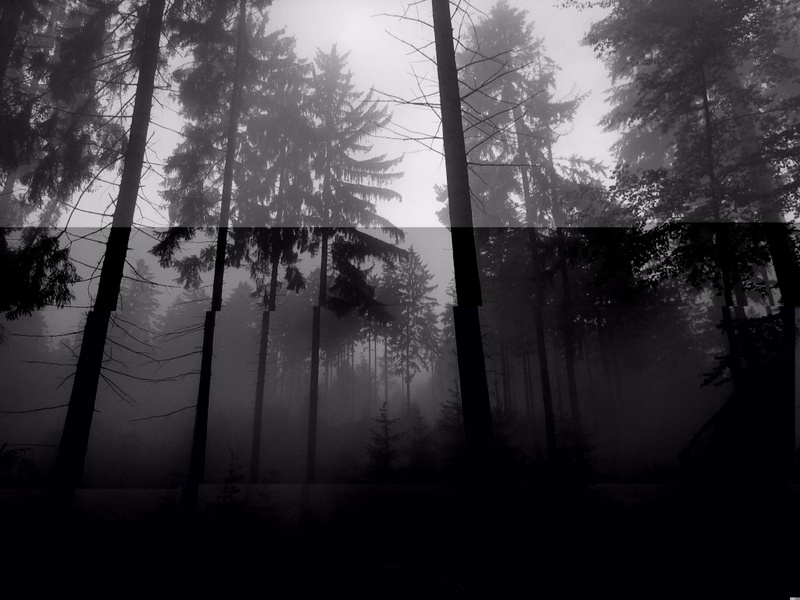 Temporary Structures is going to be a magical realism-infused horror story inspired in part by the Slenderman mythos. It's about a lot of things, but at its core is a story about addiction, growing up, and that ever-so-common situation that we all find ourselves in. You know, somehow attracting the attention of a very strange and malevolent supernatural entity that exists in a place just to the left of sanity. The novel uses a combination of flashbacks, journal segments, and third-person storytelling to tell the story of Copper, Emilie, Rick, Celine, Bell, and Meredith as they struggle with something much bigger and angrier than any of them. A free advance copy of Temporary Structures with a special Beta Reader cover and a big gold star with a personalized message from both the writer and the rest of the project's wonderful creative/marketing team. A high-quality, poster-sized print of one of the promotional fliers once the final novel is released. A digital copy of a short story called "The Static" that ties directly into Temporary Structures. The chance to offer input on the final draft of the story, and a big ol' heap of bragging rights. A hug from me if I happen to see you at a book signing, on the street, or wherever we happen to ultimately meet up. So really, there's no reason to not enroll in the beta program. Unless you think that hugs are creepy, in which case I will totally understand and respect your feelings. Sign ups are open til September 15th, at which point they will be closed and last beta readers will be chosen from the pool. So if this is your cup of tea, follow the link above and join the party! There's also a blog run by author Asher Rosenbloom that has more info and cool updates and stuff like that - http://www.arosenbloomwriting.com/blog.html. As well as a tumblr run by your's truly which is basically a "making of" endeavor with updates, photos, and cool promo art as things progress - http://temporarystructures-thenovel.tumblr.com/. Well, I signed up! I just couldn't resist, I am such a voracious reader, and a slender man novel is something I have been wanting to see for SO LONG, I started writing my own as well! That was one thing that greatly surprised me when I got aboard this project, that there was a severe lack of Slenderman inspired novels. Best of luck on your novel as well! Thank you so much!! I agree, there is such a lack of serious novels in this mythos. Much luck and prosperity on your project as well! This isn't a plug-and-run, is it? In any case, I shall sign up. I'd love to read your novel. Thank you, I'm not the writer of the novel, I'm the artist who's working on the promo art and the cover. But I sincerely appreciate the interest regardless! Hey, any artist is welcome here! 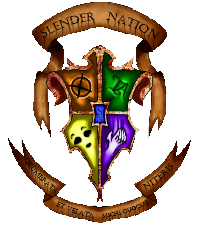 I might even have to try and rope you in for help in designing a new house sigil, LOL! Oh and btw is there any problem if the chosen Beta-reader is not from the US? This sounds very interesting. The artwork so far is also excellent. I'd sign up for the beta reading thing, but the signup sheet appears to be formatted only for people in the USA. Still, I'll be keeping an eye open. @T-M-S Hmm I'll look into that. As a solution for our out of country folk, you can shoot us an email at Beta@arosenbloomwriting.com with the same info (name, email, and address you'd like the book sent) to be considered. Wouldn't want you guys to miss out on the fun. I've been selected!! YES!!! Thank you, ericanj and team!! I can't wait to get them!! I'm so excited!! When/how do we find out if we got picked for the beta? Ah yeah i just saw that it is still open and directly signed up. So, I just got the beta copy in the mail! I'm so excited to start reading it, just as soon as I finish the last few chapters of Game of Thrones!! Oh wonderful! I'm so glad that it arrived safely. So am I! I do love the cover work you did, as well as the poster! I couldn't help but notice that the font for the title is the same as we use on here, I just thought that was cool!